Before the Reinheitsgebot’s mandated myopia decreed that beer be produced with just three ingredients – it would be a while before Louis Pasteur discovered yeast – a different brewing world existed that drew from what was available in the surrounds. To counter sweet malt characters brewers would use foraged flora to create beers now loosely bracketed under the gruit ale banner. 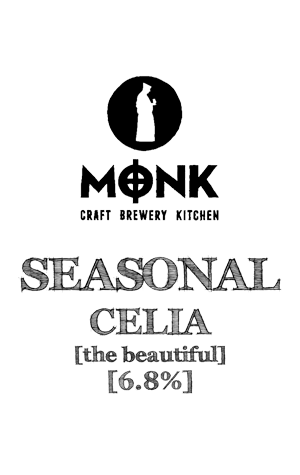 Considering this while in mad scientist mode, the idea of creating an "Heirloom Dubbel" infused with Gruit-like botanicals struck Monk brewer Mal Secourable as a moment of divine inspiration. In further serendipity, no sooner had this thought appeared than a local health food store was able to provide a nutritional supplement that contains over 100 herbs, enzymes and more, which was eventually added to the beer. Light carbonation carries intriguing herbal liqueur and gingerbread aromas before the Belgian base delivers sweet malt and spiced caramel. While historically inspired, the use of New World Loral hops adds subtle pepper and floral notes that intertwine with the botanicals.